Why is Windows shared hosting is the preferred hosting option of most businesses? We will find out soon. Before that, here are a few points on shared hosting. Shared hosting means the same server will have many other websites along with your own. This is a commonly used hosting option, especially for businesses that are new and do not have the resources or the need to have a server fully dedicated to their needs. Shared hosting is easy to use and manage and is a first step towards basic hosting before you grow and expand your business and migrate to more expensive and technologically advanced servers. If your website depends on .NET or visual basic, then Windows shared hosting could be the right choice. Windows OS is user-friendly and comes with great support. So, even if you get stuck in some technical issues, you can easily overcome the problem. You can buy cheap shared hosting plans by comparing the offerings of various server hosting services specializing in Windows shared hosting. There are few things that you must look at carefully before you finalize your server hosting service. - Do they have the latest infrastructure to support your hosting needs? - Is 24/7 customer support available and active? - Do they offer unlimited space and easy management of fluctuating traffic? - Do they guarantee impressive uptime? The best Windows shared hosting service will have a friendly and advanced control panel that helps you create and manage web pages and view website statistics. You should be able to create the email accounts you need for smooth and effective business communications. Reliable and ongoing support is a must if you want your website management to be smooth and hassle-free. If possible, always choose a Windows shared hosting plan that is ready for ecommerce. It must support the most popular shopping carts and offer private SSL for secure transactions. Addition of dedicated IP is another desirable feature. According to Windows hosting experts, when you choose a shared hosting service that runs on Windows OS, you can expect high network availability. The security provisions are very stringent and there is little chance of your data getting compromised or hacked. You can also benefit from features such as unlimited website traffic, unlimited bandwidth and unlimited MySQL, MS SQL and access database. With Windows OS, maximum redundancy can be expected with all hosting plans from the best service providers. 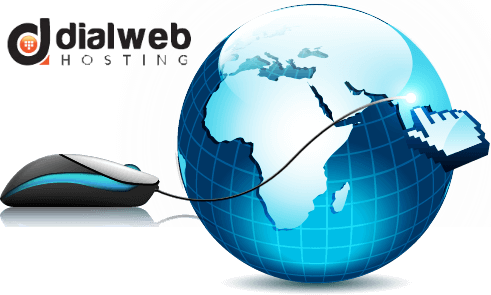 DialWebHosting is the first choice of leading businesses looking for a reliable and affordable Windows shared hosting service. You can experience power of the best Windows servers here that comes with the support of an extremely user-friendly control panel. The service comes with the ultra-high six zone security that guarantees full security of your business critical data. DialWebHosting offers other high value features too such as continuous database support, data backup and easy and quick migration of websites.